5.0 out of 5 starsStopping the Past from Being Repeated . I gave this book a rating of 5 because I loved it. I loved how much she cares about all her friends and their future. She tends to put her self care on the back burner; like she is willing for her self to get hurt in order to save someone else. I recommend this book to anyone that loves anything supernatural. Totally LOVE all Claire Farrell's book. Do yourself the favor and get all her series. So well written and a unique take on the supernatural. Just Love it!! I truly loved this book. The Ava Delaney series is wonderful and I have grown very fond of the characters, especially Ava. I was hoping that Ava would finally find love and acceptance in this book and while things didn't go exactly they way that I had hope...there is still hope. I am looking forward to the next book. I enjoy all of Ava Delaney's books. I do enjoy Ms. Farrell's writing style. She adds details to her stories that many writers omit. 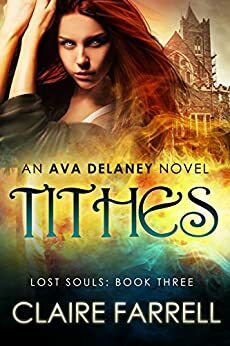 I don't know if this is the last of the Ava Delaney series (I hope not), but if it is.....it was well done!